I’ve been using this light for 2 years now, typically when working on wiring projects around the house, and cars. Being able to use both hands and still having tons of light where you need it is fantastic. The LED emitter itself is supposedly “almost indestructible”, and it is covered in a very thick plastic dome that serves as a very wide lens as well. This light is so bright at maximum output I’ll find myself using it in well lit rooms for even more light. The headband and strap are comfortable enough to wear it for hours at a time. 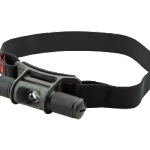 I’ve used a lot of headlights, and the Minimus is one of the only metal bodied lights I’ve seen, not to mention Mil-Spec hard-anodized aluminum (it doesn’t have a single scratch on it)! The battery compartment is sealed nicely by o-rings, and the dimmer is very smooth without any noticeable dimming steps. The entire light rotates up and down so you can keep the light on your work and off the floor. My only real complaint about it is the battery life, I’ll sometimes go through 2 batteries in a night. 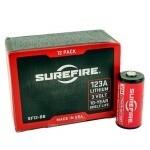 It uses 123A lithium batteries which can be very expensive at retail ($4 ea), and still run about $2 ea from Amazon below. They advertise the battery life as 1.5 hours at full brightness, if you use it at 3/4 brightness it will usually make it through a full project before it dies. 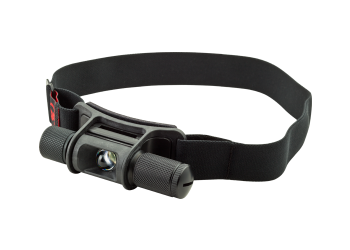 Summary: The worlds best headlamp with the worst battery life. Keep a box of spares around!